Unlocking Doro PhoneEasy 345 - How to unlock this phone? How to unlock Doro phone? 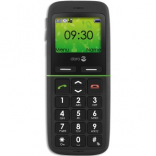 Doro PhoneEasy 345 Confirm your model below and, the country of the current operator, this will allow us to present you with a choice of prices and deadlines, among the most reliable unlocking solutions. Rating: 4.9 / 5 on 168 reviews. How to unlock the PhoneEasy 345 model ? This operation, very easy to perform, allows you to use your smartphone (or tablet) with all SIM cards. At the same time, you will enjoy an added value, when eventually you want to resell your Doro. The code of your PhoneEasy 345 sent to you by e-mail as soon as it is available on the site. Unlock your Doro PhoneEasy 345 without moving. It's just happiness here! galaxy s5 unlocked in the day, I specify that it is the 3rd that I unlock. It was a little longer for the previous but good. The price is TOP too so Well done!